Claire had been on her own for so long, the last thing she expected was to fall in love. Being chosen as the next in a long line of warriors protecting the cities of humanity from the alien monsters from the wastes was also unexpected. As the creatures start venturing into the cities to hunt, Claire’s only hope is to find something or someone to love before it’s too late. 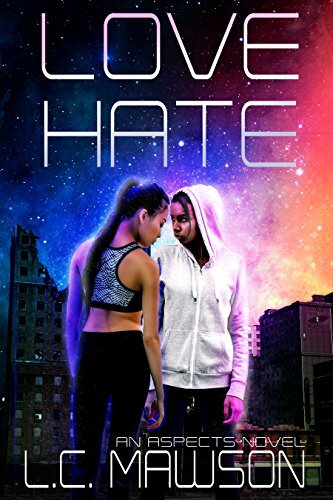 LOVE/HATE is the first book in the Aspects YA sci-fi series.